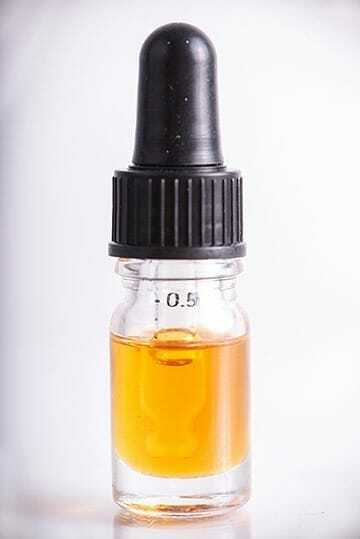 Enjoy the highly amplified healing benefits of high-quality CBD oil in energetic form. Digital CBD represents a new form of vibrational technology that extracts the unique informational data field of the highest quality CBD oil available, amplifies its field amplitude, and encodes it into digital media. Simply open and play Digital CBD in one or more of its multiple formats on your electronic devices, and it will immediately broadcast the amplified energetic signature of CBD oil, with the health benefits that accompany it. Digital CBD is a subtle energy program that combines vibrational technology with digital media. Using a proprietary process developed by Subtle Energy Sciences founder Eric W Thompson, Digital CBD broadcasts the amplified energetic signature of CBD through your electronic devices. You might think of it as a kind of “amplified digital homeopathy,” but it's far more powerful than traditional homeopathy. Simply open the Digital CBD digital file (in audio, video or picture file format, whichever format best suits your needs), and these energetically encoded digital files will automatically transmit the energy of CBD oil (along with all the accompanying health benefits of real CBD oil) through your phone, tablet, computer or laptop. Sound impossible? Too good to be true? It isn’t. It's here. Plus, unlike physical CBD, you only need to purchase Digital CBD once in order to benefit from it for the rest of your life! And when you take into consideration the fact that the CBD oil, from which we extracted the energetic signatures for Digital CBD, cost more than $100 for less than a month's supply, we're talking about an incredible value here. The “wave-particle duality principle” in quantum physics basically says that energy and matter have both particle-like and wave-like properties. And while physical CBD can be viewed as the “particle”version of CBD, Digital CBD can be seen as the “wave” version of CBD. This is because Digital CBD is produced by extracting the informational, wave-like properties of CBD, amplifying these properties many times, and encoding them into digital media. Digital CBD quite literally transforms your electronic devices into futuristic vibrational healing tools that broadcast the actual informational data field (or wave-like properties) of CBD at very high amplitude. There's really nothing quite like it on the market. In plain English, it means that you can enjoy the healing energy of CBD on your favorite electronic devices and effortlessly reap the health benefits of CBD oil, without having to spend more money every month to replenish your CBD supply, unless you want to, of course. CBD (Cannabidiol) is a naturally occurring compound found in the hemp plant (Cannabis Sativa). Made from NON-GMO, PESTICIDE FREE Industrial Hemp Oil. Derived entirely from Industrial Hemp Oil that was extracted from the mature stalks and stems of the plant. Made from NON-GMO, PESTICIDE FREE, CO2 Extracted Industrial Hemp Oil. One of at least 113 active cannabinoids identified in cannabis. It is a major phytocannabinoid, accounting for up to 40% of the plant's extract. CBD does not appear to have any psychoactive effects such as those caused by tetrahydrocannabinol (THC), and it may have a downregulating (i.e., calming) impact on disordered thinking and anxiety. Also known as the ‘stem cell’ cannabinoid. The little research that is available suggests that CBC has antidepressant, pain relieving, and anti-anxiety effects. THCV is an appetite suppressant; may help with diabetes; may reduce panic attacks; may help with Alzheimer’s. Digital CBD contains NO THC. Soothing nature sounds recorded in 3D audio and encoded with the energetic signature of the CBD. The energetic amplitude of this 3-min demo is not nearly as strong as the full 20-min and 60-min audios (and is only a small percentage of the overall energetic amplitude of the included Silent Energy Video and Ultra-Strength Silent Audio), but it will give you an idea of what to expect energetically. NOTE: The audio component of Digital CBD is only one of multiple components included in this energetically encoded multimedia program. It also includes the Digital CBDquantum energy app, a silent energy video and an ultra-strength silent energy audio. A full digital media program energetically encoded with the ultra-amplified energetic signature of CBD extracted from cannabis and full spectrum hemp oil. Use this if you are exceptionally sensitive to the energy or to otherwise reduce the amplification of the CBD energy. Set to Repeat, minimize the video and work in other windows as the silent energy video silently broadcasts the energetic signature of CBD through your device. Set it to Repeat and use it to radically amplify the energy of Digital CBD.